Secret Double Octopus, a provider of keyless, quantum-safe secure communication, has been recognized as a 2016 Gartner Cool Vendor in Communications Service Provider Security Solutions for its keyless, quatum safe solution securing network traffic and authentication. Secret Double Octopus, a provider of keyless, quantum-safe secure communication, today announced that the company has been recognized as a 2016 Gartner Cool Vendor in Communications Service Provider Security Solutions. The company was selected for its innovative approach to network security and authentication. Using a new adaptation of mature, proven algorithms, Secret Double Octopus solves substantial security exposures in enterprise, mobile, cloud and IoT use cases. Unlike existing solutions based on PKI, SSL and VPN, Secret Double Octopus leverages keyless algorithms proven to be resilient to brute force attacks. 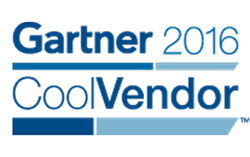 Each year, the Gartner Cool Vendor program identifies innovative and impactful technology vendors. This year’s report on Communications Service Provider Security Solutions evaluated a wide range of vendors in the space, ultimately designating five companies as a Cool Vendor. “At the age of always-connected sensitive data, we need a new approach for security that is both seamless and impenetrable,” said Raz Rafaeli, CEO of Secret Double Octopus. “the Cool Vendor recognition reaffirms that we are on the right track to address this critical challenge”. Secret Double Octopus mitigates risks such as eavesdropping, encryption hacks, man in the middle and brute force attacks by implementing a solution that secures network traffic and authentication beyond the limitations of PKI, SSL and VPN. The company helps site-to-site, site-to-cloud, mobile and IoT initiatives overcome the security vulnerabilities of today’s security and encryption protocols. The approach employs secret sharing, providing protection that information theory has postulated as unbreakable.